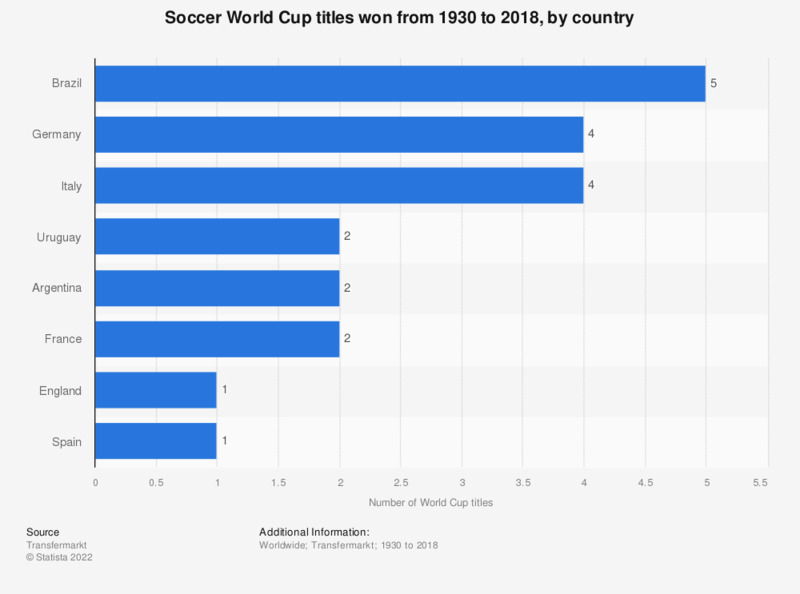 The graph depicts the number of soccer World Cup titles won by country since the inaugural World Cup in 1930. The national teams of Brazil have won the most soccer World Cup titles with five, winning the tournament in 1958,1962, 1970, 1994 and 2002. The most recent World Cup, which was hosted by Russia, was won by the squad from France. The team coached by Didier Dechamps won the final in 2018 with a score of 4-2.